It was a cloudy Friday morning when he woke up, the last day of August, 2001. Radhakrishnan quickly got ready and left for his colleague’s housewarming ceremony. After a lively reunion over breakfast, he drove straight to the office, where he worked in the highly competitive and stressful field of marketing. In the evening he had to attend the thirteenth day ceremony of his other colleague and friend, K.S.Visvanathan, who had passed away on the nineteenth of that month. Being an uneventful day, he returned home early, such a rarity ironically happening when his wife, Meena was away on an excursion (with the kids at the school where she teaches music) and the son, Jagan was away on an official tour. His daughter Vidya and son-in-law Chandar, both of whom are architects, lived with their son Anirudh an arm’s length away, while his father a legendary Carnatic musician was ill and in his room under the supervision of a nurse. Radhakrishnan started work with EID Parry Chennai in 1965 and in 1984 moved to Spartek Ceramics to head the marketing of their ceramic tiles. With stints in Hong Kong and then back to Spartek, Radhakrishnan went on to incept and run a very successful company under the banner “Campion Plastics”. He enjoyed playing cricket and fairly was good at it. He played for the First Division League representing Parry & Company; with the likes of A.G.Kripal Singh, S.Venkatraghavan, K.S.Visvanathan, B.R.Mohan Rai, H.T.Bhaskar Rao, M.K. Iqbal, M.K.Murugesh, D.L.Chakravarthy, Sudhir Gulvadi, M.R.Sreedhar and V.Chander. Their team had a huge following and drew crowds whenever and wherever they played. He was also great enthusiast of rowing, in addition to, running privately held marathons once a year. While Radhakrishnana’s cholesterol and triglyceride levels had always been high since his younger days, his natural interest in sport and rigorous exercise routine kept him going. He was also a smoker and loved his two large swigs once in a way. That night after surfing through the not so exciting channels he decided to go to bed at 9pm. It seemed like a long time but just minutes had gone by when he suddenly felt pain building up in his chest. It was so severe that it felt like an elephant had rested its foot on his chest. Radhakrishnan’s friends have been through similar experiences and it had been discussed in many a forum. There was no shoulder pain or excessive sweating. He quickly recalled the steps to take and coughed while taking short breaths. He called out to the watchman who was outside, asked him to jump in to his car and drove to the nearest hospital (himself). He pulled up right in front of the emergency ward and asked for immediate medical attention at the duty doctor’s room. The doctor recognized his symptoms on sight and asked Radhakrishnan to call his daughter immediately, while getting him admitted into the ICU. The ECG revealed it all – Myocardial Infarction. After three days in the ICU and seven days in the ward, he returned home after a thrombolysis removed the clot. Days of careful recuperation went by and then came 9/11. Radhakrishnan was in his bedroom resting when he heard the noise and commotion in the living room. He knew something was wrong and ran down the flight of stairs in anxiety. The following tread mill test at his doctor’s showed that recovery was not normal and after further studies by his doctor an angiogram procedure was done. The procedure revealed a block in the left ventricle with a 90 percent lesion. “But don’t worry. You don’t need a by-pass surgery. Medical management will suffice, provided you start exercising regularly, as before, once I give you the go ahead.” said the doctor. Then on Radhaksrihnan’s life changed, with a strict diet, regimented exercise and regular medical check-ups. The exercise regimen added rowing to his morning walk in 2007. Today, Radhakrishnan continues his rigors of walking and rowing in the mornings. He also trains young rowers at the club and works as a consultant in a manufacturing and marketing company. “I enjoy my morning walks and rowing. My age is not a limiting factor. My body speaks to me if I overdo it and I stop. I will continue until I can. I call on the youth of today through this media to set aside some time during the day to exercise. Do what you like best and avoid junk food. Eat on time and lead a healthy and happy life” says Radhakrishnan. 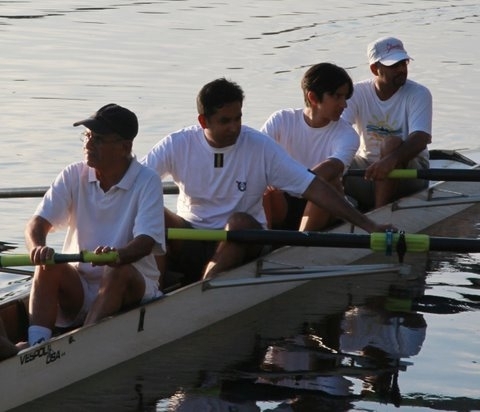 On July 04, 2012 Radhakrishnan turned seventy and we celebrated with a seven kilometer row up and down the Adyar river. I was honoured to be part of the crew. Previously, I’ve worked with Radhakrishnan in Parry’s and have rowed with him for the Merchants & Bankers and other regattas. I continue to row with him at least four days a week and I hope I will continue to do so for a long time – merrily, merrily, merrily life is but a dream. So you are one of those conscientious people who ensures that you have a really healthy breakfast of either, brown bread and vegetable sandwiches, or one of the more popular brands of breakfast cereal. You have denied yourself the pleasures of a plateful of, cholesterol laden, bacon and fried eggs for more years than you care to remember, and of course you are feeling extremely proud of your self- discipline. World over packaging and labelling laws are currently undergoing a great deal of change. They are fairly lax at the moment, especially in India, and as a result, what is called brown bread maybe regular white bread coloured with caramel. Typically, the ingredients on a food label are listed in descending order, and if the first ingredient is wheat flour, you can be sure that the product is not fulfilling your nutritional requirements. From a health stand point what you require is bread that is made up of 70-80% whole wheat flour. However, don’t let the food label be your only guide. In this case taste the bread as whole wheat bread is a lot chunkier and grainier to the palette than white bread. It will also not be as perfectly formed as whole wheat is more difficult to work with, which is why bakers take the easy route of using white flour instead. So what is the big deal about whole wheat flour? A wheat kernel consists of three parts, the outermost layer of bran which is rich in Vitamin B and fiber; the middle layer, that is the living germ, full of Omega 3, protein and antioxidants; and the inner most layer that is comprised of gluten and starch and has little nutritive value. The processing of wheat from its whole to its refined form robs it of the outer two layers. This is why your mother was totally right when she told you that soft, white bakery bread is way down on the nutritional charts compared to homemade wheat chappatis. These days, super market shelves are groaning under the weight of ragi, multi grain and other immensely healthy sounding breads, so how does one choose? And is the ragi bread you are buying really what it claims to be? A good thumb rule to judge how much of the “good stuff” is actually present in your bread, is to check the position of the ragi or flax in relation to salt. In a normal loaf of bread, it is unlikely that there is more than a teaspoonful of salt. Therefore if the ragi, in ragi bread, is positioned after salt, you can be sure that you are getting less than a teaspoonful of the good stuff. Then there are the breakfast cereals and beverages that many a harassed mum feeds her young children, believing that they are packed with nutrients. In most cases, if you read the ingredient list, you will find that wheat flour and sugar are on the top. Certainly, not what constitutes a healthy breakfast right? Not a patch on homemade ragi, wheat or oats porridge. Perhaps the position at the top of the charts in terms of truly unhealthy foods, are commercially produced cakes and biscuits. While being extremely high in white flour and sugar, most of them contain either hydrogenated vegetable oil or trans fats, both of which are extremely harmful. In fact, in the USA it is now mandatory that if a food contains trans fats, it must declare the fact prominently on the product label. What are trans fats and why they are so harmful, is important enough to be worthy of another article sp let’s back to the food label per se. There are currently several biscuits and cakes on the market made of seemingly healthy ingredients like ragi or oats. Before you make them a part of your diet, please read the ingredient list. It’s very likely that what is being sold to you as an oat biscuit is merely a very ordinary maida one, with a few grains of oats thrown in! I’ve sown the seeds of doubt in your mind, haven’t I? 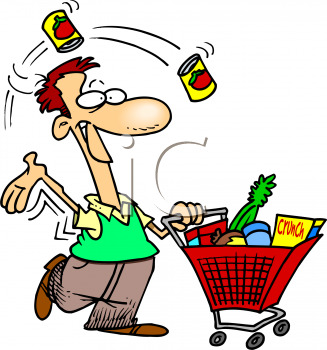 I’m sure that at least for the next month, your shopping trips are going to be extremely lengthy ones. While you comb through shelves of products choosing the ones with the highest nutrient value, let me assure you that it is time well spent. After all who likes to buy a product that is not all that it seems to be? Tooth in your ear, words ringing, sometimes chewed –annoying! Mails and meetings, lobbies and coffee shops, traffic snarls-galling. The movie is always on time. The sedentary lives of potato couches. Sounds very familiar, doesn’t it? Unwittingly we tend to get ourselves entangled in this corporate vortex, which is not a great state of affairs and obviously needs immediate correction. Awareness is the starting point and the best way is to make physical activity a part of our daily lives. 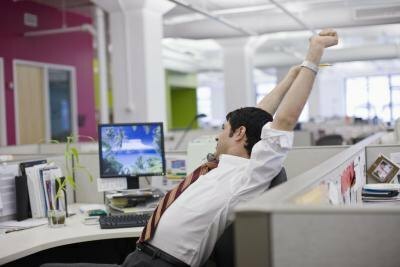 POSTUR’ING’ – Maintaining the right posture, especially while seated, increases blood circulation and helps us stay and feel more productive. Sit on a chair with your legs bent at right angles and feet flat on the ground. Push your lower back against the base of the chair to maintain the natural curvature of your spine. Lengthen your spine by stretching the top of your had toward the ceiling, while tucking in your chin. Keep your shoulders relaxed and your upper back and neck comfortably straight. This way the required physical activity gets built-in and becomes regular without affecting our daily office routine and will help us perform much more efficiently in a highly stressed corporate environment. The Department of Nutrition, Harvard School of Public Health, Boston, MA says, in one of their blogs, that a sedentary lifestyle carries with it a risk of obesity and type 2 Diabetes. The World Health Organization (WHO) has issued a warning that a sedentary lifestyle could very well be among the ten leading causes of death and disability in the world. By choosing physical activity as the theme for World Health Day, WHO is promoting a healthy, active and tobacco-free life style. The aim is to prevent the disease and disability caused by unhealthy and sedentary living. So let’s pack in some physical activity as part of our daily routine or better still build in an exercise program over a week that we plan to sick to, come what may. Exercise, keep fit and live a healthy life. 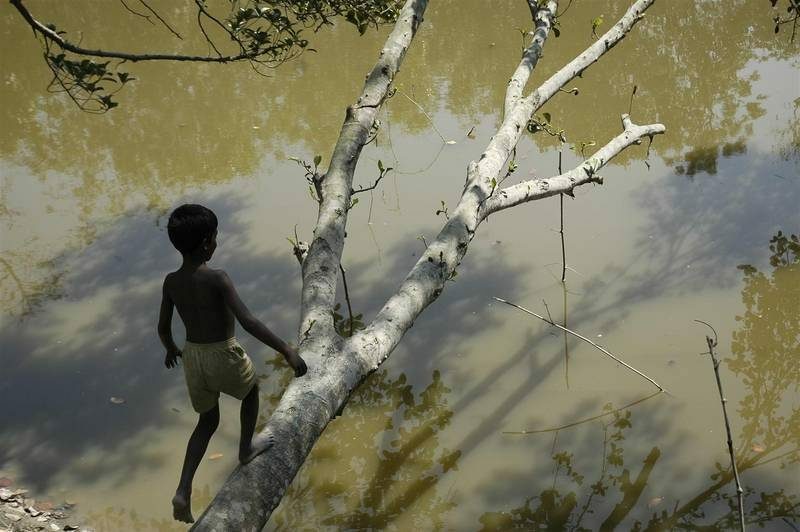 “But there are no trees to climb…..
As a result, of variations on the above-mentioned situation, 24 percent of the adolescents and 12 percent of children in urban India are obese. This is a sad state of affairs considering the fact that this has transpired in the span of just one generation. So what causes ‘childhood obesity’, a precursor to adult lifestyle diseases, and how can one prevent it? The answers always lie in a combination of the two basic health mantras – a healthy diet and lots of exercise. Perhaps the biggest myth that pervades most families, is that children should be allowed to eat anything that they want, because they are growing, and need the calories, besides which they can burn off the extra calories. Well, we are wrong on both counts. Typically a teenager requires approximately 2000 calories a day, to maintain his or her current weight. This is however an extremely rough figure, because it depends on the youngster’s body frame, activity level and gender. The numbers here are not important, what is important is that a teenager eats the right kind of food in adequate quantities, and is persuaded to avoid junk. This will ensure that the palette gets trained from a young age, so that even as an adult, it becomes extremely natural to eat healthy. Where carbohydrates are concerned, it is important to remember that, the less processed it is, the more nutritional value it has. Therefore, chappatis made of wheat flour, red or brown rice, and whole wheat bread what we should be opting for. Protein is crucial in the diet of a growing child, because the deposits of calcium that are stored in the skeleton are like deposits in a bank. The more you deposit during the growing years, the less your probability of breaking a bone in your twilight years. Milk and eggs are some of the best sources of absorbable calcium. A teenager needs 3-4 glasses of skimmed, unsweetened milk every day. If your teenager is weight conscious, do inform him/her, that recent research has pointed out, that milk is one of the most powerful foods in a calorie watcher’s diet. In fact, it actually helps you shed the unwanted flab. With rising levels of affluence, it has become a fashion to make sweetened cereals consisting of processed wheat or corn, breakfast staples, which is one of the primary causes for children being obese and improperly nourished. Pray what happened to the good old ragi, wheat or oats porridge? A cup of one of these (cooked with lots of milk and a spoon of honey, if required, for sweetness), with some fruit (dry and/or fresh) along with an egg cooked with as little oil as possible, makes for a perfect teenage breakfast. It contains all the nutrients to power the body and mind for the day ahead, without being heavy or oily. As you go along the day, make sure that the young one’s diet contains large doses of fruit and fresh vegetables. Do not pander to requests for sweets and fried stuff. Reserve that for weekends or a special treat. Dry and fresh fruit will satisfy that sweet tooth perfectly, and a crunchy salad is a perfect substitute for chips and samosas. A little discipline on your part right in the beginning will ensure that your child has healthy eating habits for life, and does not have to spend his or her life yo-yoing from one crash diet to the next. Aerobic activity to develop the heart and lungs – running, badminton, a game of football maybe? Strength or Resistance training can be started from the age of 12/13, but under the supervision of a well qualified instructor who will ensure that correct “form” is maintained, and that boys especially do not overstrain or injure themselves, by using weights that are too heavy. Weekends are crucial in the life of a teenager, not only from a “thank God it’s Friday and school is out” point of view, but also because, you can make exercise part of a lot of fun activities including treks, cycling trips, rock climbing. This outdoor fun is the stuff memories are made of and let the children learn from an early age that exercise can be enjoyable, and that the wide open outdoors are their giant playground. In addition, you will reduce the time spent in front of that play station and television. Ultimately it all boils down to the big C, common sense. Combine it with a bit of discipline, to ensure that your young one is set on the path of good health for life. Well who doesn’t like sweets – honestly?!! All of us do. Well I do. I have a sweet tooth. While a curry lunch is our first love, the love for the colorful sweets made at home or the more complicated ones from the sweet meat shop is a close second. Many Indian sweets are fried foods made with sugar, clarified butter, milk or condensed milk. Although the combination of ingredients may vary by region, I’m sure most of us remember our mothers using these products quite often at home. Even tea and coffee, in our country is served with liberal doses of sugar. Given this love of sweets, which we liberally indulge in during our numerous festivals, it should come as no surprise that India is rated as the world diabetes capital. The rise in the prevalence of diabetes in India is alarming. Various studies have shown that the high incidence of diabetes in India is mainly because of a sedentary lifestyle, lack of physical activity, obesity, stress and consumption of diets rich in fat, sugar and calories. Epigenetics and lifestyle are conspiring to inflict a considerable increase in the incidence of diabetes across the subcontinent. What with roadside shops selling traditional fried sweets, samosas, chaat and dosas; alongside fast-food joints selling burgers and fries; and shopping malls selling labour-saving appliances, we seem to be on a fast track to becoming a sick nation. The three cornerstones in the treatment of diabetes are food, medications, and activity. Of these three, “activity” is often a first choice for the person who has diabetes. And that’s what I am going to talk about while reserving the first two points for our dieticians and the clinicians. Moving toward a more physically active life is generally inexpensive, convenient, and relatively easy and usually produces great rewards in terms of blood glucose control and a comforting feeling of well-being. So our mantra here should be ‘exercise regularly’. If you are diabetic, check with your doctor for specialized advice for your specific situation. If you’re not diabetic, there is no better time than today for a great start, in order to avoid becoming another medical statistic. Regular exercise can help prevent diabetes, and it can help those who already have diabetes to maintain better blood sugar control. Thirty minutes of moderate exercise, such as brisk walking, five to six days a week is recommended. A recent study found that a combination of aerobic exercises, such as walking or dancing, most days combined with resistance training, such as weight lifting or yoga, twice a week helps control blood sugar more effectively than either type of exercise alone. Whatever you choose, make sure the activities are enjoyable for you and take into account your abilities and condition. The activities don’t even have to be “exercises” in the traditional sense, as long as they get you moving. Dancing, taking your dog on long walks, cycling, gardening, and even walking the golf course, all count. Vary them so you don’t get bored and fall prey to easy excuses. Choose some that can be done with others and some that can be done alone; some that can be done indoors, some that can be done outdoors; some that can be done when your schedule is light and some that can fit in when you’re strapped for time. Variety is definitely the spice of life and sometimes a little spice can save us from a potentially harmful overdose of sweetness. Here’s to a sweet and healthy life. A few months back on the morning drive to work, I heard this on the radio “Mondays are going to comprise one seventh of your life, you better learn to enjoy them or be prepared to lose all that time”. That little statement stayed with me for the rest of the week. It was so true! Although, till that day, no one had ever put it quite like that. That’s when I decided, the Monday blues attitude has to go, after all who wants to waste a seventh of their lives. The point here being there are so many factors in our lives that cause stress to build up in our systems. While we have a host of stress management techniques, which do work, the best way would be to eliminate the sources of stress that are in our control. There’s work-related stress, domestic issues and even social stress. Our systems are being beaten-up over and over again by these toxic pressures, so I figured it was time to get rid of the unwanted ones as quickly as possible. To give you an idea of how I turned Monday into a day that promises a fresh start, rather than one that has us moping for the second half of Sunday, read on. First, we need to understand what makes Mondays so tough to handle in our minds. By itself, it’s just another working day, pretty similar to five or six (for some of us) other days in the week. So it couldn’t actually be the fact that it was a weekday. Having identified most of the pain points, I now had to come up with ways to get rid of them or at least reduce them. Here’s what I did. With respect to my Monday morning workload, which I admit was what made me dread putting my foot through the office door, I tried a few options. On Saturday (yes I work a six day week) I decided to clear all possible pending items before leaving work. There would not be a to-do list of old items on my desk come Monday morning. Trust me this was an eye opener. It actually helped me to make a list of fresh work items for Monday, which helped me start the day clear-headed but not stressed out. It was like having a freshly cooked breakfast as compared to the previous night’s leftovers. Now, I agree that this may not be a hundred percent achievable, but the intention is what matters. If the bank closes at one on Saturday and you have no choice but to do a transaction on Monday, that’s absolutely fine. That’s one activity and you know exactly what to do the moment you sit down at your desk. What most of us do is push all the important but non-urgent tasks to Monday in our eagerness to get out of the office and on with the weekend. This causes those very tasks to become crucial and by Sunday night we are losing sleep over deadlines and are completely stressed on Monday morning. The same logic of preparing for a Monday morning at work also applies to domestic requirements and people who work from home. Another option, which might not be feasible all the time but, would help if done before a really heavy work week, is to pick a time during the weekend when you tend to be at loose ends and finish up a little bit of work in preparation for Monday. It maybe just forty-five minutes of effort, but it really will give you a high for having got a head start on the Monday to-do list. The next issue was the early start after the weekend sleep-ins. This had me looking at how we handle children on weekend nights. Most parents let their kids stay up on Saturday nights a bit longer than usual but Sunday nights are school nights and non-negotiable. That’s why most kids (this does not include teenagers) are up nice and fresh on Mondays morning, though they may or may not want to go to school. I applied the same logic to myself and found that as far as energy levels were concerned I was pretty much brimming on a Monday when I had a good night’s sleep the previous night. The penultimate pain point was the easiest and the trickiest. The tricky part being we couldn’t change the mindset of the masses on a Monday morning and actually reduce the traffic issues, however, we did figure out the right time to start to avoid that problem almost completely. Since the whole family was up and about early that Monday, we were also ready to leave on time, which on a Monday is earlier than usual. The bonus being we got to school before the gates opened and actually had time for a family coffee (fresh juice for the child) before, each of us, went ahead with our own routines. A great start to a supposedly tough day of the week and for the first time we parted ways with a hug and a smile rather than flustered goodbyes. The final step was the toughest to figure out, but I went with a few small changes. Instead of waiting a whole work week to relax on the weekend, I would do one activity that I enjoyed every Monday. This definitely helped me look forward to the day and helped end it on a positive note. It could be starting a much awaited book or playing a sport you enjoy with friends. These little changes will make a difference and Mondays may soon seem just as good as any other day going forward. Stress management is great but why not work on stress elimination when possible, it’s a much easier and simpler lifestyle change. Let’s start the week on a zen note.